High oil prices will spell the doom for S'pore's hybrid regime. I've blogged earlier that Terminal 5 is too far-fetched. If oil prices stay high & soar higher we won't need to waste taxpayers $$$ to build Terminal 4 as well. Similarly for other airlines long haul flights around the world, they are hit hard with high oil prices. Eventually long distance travel will be a luxury. More distance costs more $$$. The world will be smaller until something replaces fossil fuel powered airplanes & ships. Expect the quarterly reports (Jul-Sept) of listed transportation companies to take a hit from high fuel prices. Now that i have a digital camera after a long hiatus of at least 1.5years without such device, i can show you the deteriorating ground situation. There is much to show & i shall start with the places the peasants go for meals outside - hawker centres & coffeeshops. Practically all the food for this tiny island are trucked, shipped & flown in. Trucks, ships & aeroplanes run on fossil fuels. High oil prices = higher food prices. The 5 pictures below are taken during lunch time today. 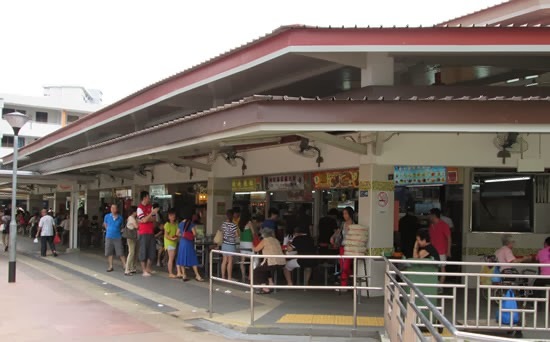 Clementi Central hawker centre. Crowded with queues. 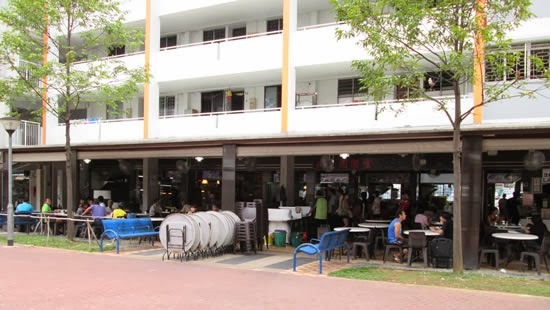 Directly opposite the hawker centre is the coffeeshop at Blk 442. Pretty quiet. Business is worse than usual. Coffeeshop at blk 449 which is a stone throw from the hawker centre. Business ain't good too. dead coffeeshop at Blk 501 diagonally opposite the West Coast Hawker centre. 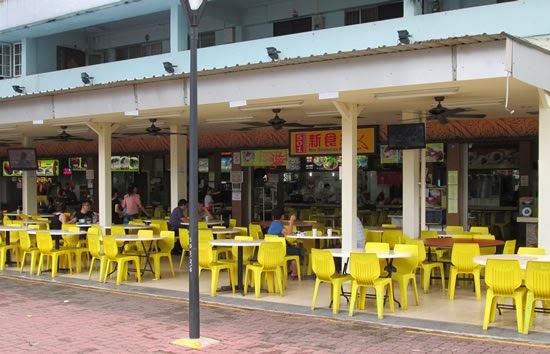 Peasants are ditching higher priced coffeeshops & flocking to hawker centres. 2.5 years ago, Sengkang residents already can't take it with the privatized operator. 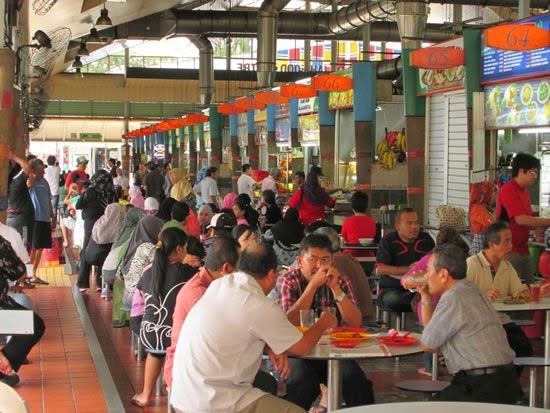 Agree, hawker center is definitely cheaper than coffee shop and many more variety of food. I much prefer to eat or buy food from hawker center but somehow the stupid gov forgot to build them for many years. 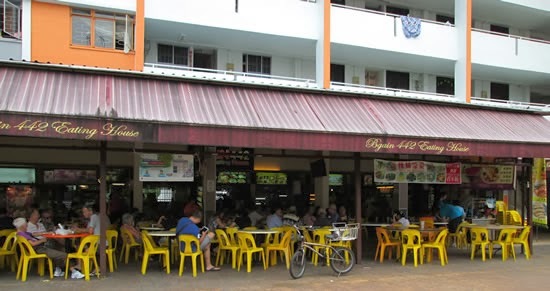 Many of the estates build after 1990s do not have hawker center nearby and coffee shops are hacking our throat with their high prices and usually less tasty food. With the older hdb estates now surrounded by condos coffee shop is ever increasing their prices without hawker center competition. I read that the construction of Bukit Panjang hawker ctr near blk 259 has 28 cooked food stalls which is low. Is only when i look at streetdirectory that i realised there is a neighboring food court/coffeeshop. Low number of 28 stalls so as not to make the business of food court/coffeeshop poor or even close shop.